The average price range for this adapter is only between $100 and $175 depending on the complexity of the adapter. 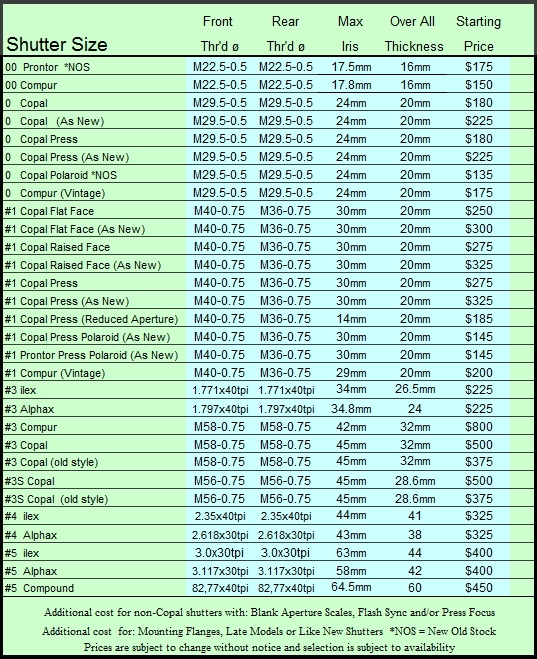 Most Standard mounts of lenses into shutters run from $250 - $350.Although there are a few mounts that are less work that are less expensive and of course some mounts are more work at a higher cost. To add a touch of elegance to your classic camera a highly polished custom brass shutter facing is also available on Alphax shutters like this. Pricing available upon request. On shutters with a blank aperture scale $50.00, on shutters with existing aperture scales that need to be reworked $65 - $75. Due to the varying amount of work between the many possible mounts, prices are given in the range that they most typically fall into for the average job. 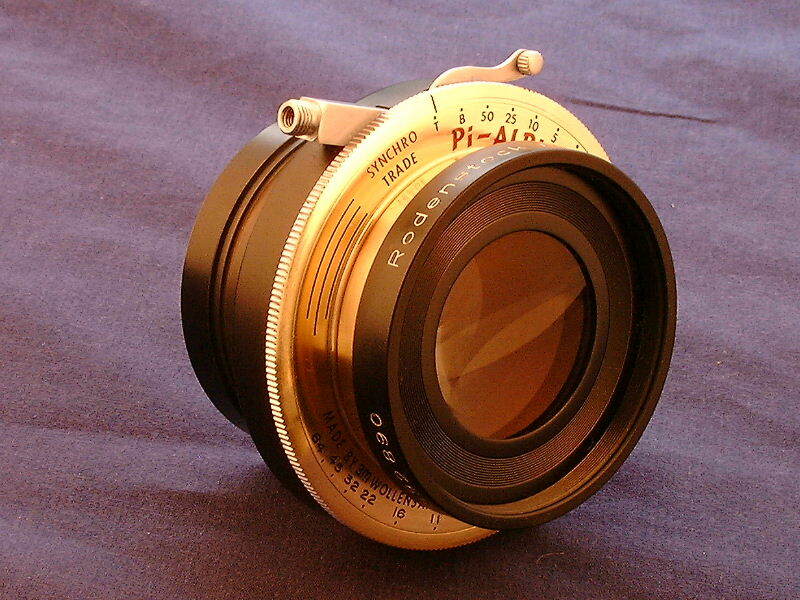 More specific info on the lens, shutter and mount would be needed to give a more accurate estimate of the actual cost. I prefer to inspect the lens personally to give the best price possible as well as suggest the best shutter options. For instance, a 210mm GRII fits nicely into a #3 Alphax but would require a #4 shutter if an Ilex shutter were to be used. As you can see in the accompanying shutter chart, there is a difference between the lens mounting holes and the actual thickens of the number 3, 4 and 5 shutters between the individual shutter manufacturers. If we were to give a blanket price on the mount we would have to charge people more than necessary for many mounts in order to make up for the more expensive mounts. We would much rather keep our prices specific to the job rather than have many pay extra for the few that do not pay enough. Need a shutter ? We carry a selection of well cared for classic shutters in sizes 00, 0, 1, 3, 4, & 5 as well as some as new Copal 0 and 1 shutters. Please take a look at the shutter page for a more detailed description of the various shutters available. For selecting a shutter, a measurement of the barrel diameter would help narrow down what size shutter you will need. To be able to recommend the smallest size possible it is always best to have the lens in hand but we will do our best to help you select a shutter. Being a field photographer myself, size and weight are always an issue and I try to keep them to a minimum. All the shutters we sell with the exception of the as new Copals have been serviced (a $100.00 value). The prices are given in the chart below with some exceptions.